This was originally posted on my new adventure-based website, Sprangled! Check it out for fun times and inspiration, and submit your own experiences, advice, and reviews. We all share this world together! When most people think of North Carolina, what typically comes to mind is farmland — a state that’s not typically a destination, but rather one you drive through or fly over. While North Carolina’s largest cities, such as Charlotte and Raleigh have plenty to explore, there’s nothing quite like escaping to mountain country. 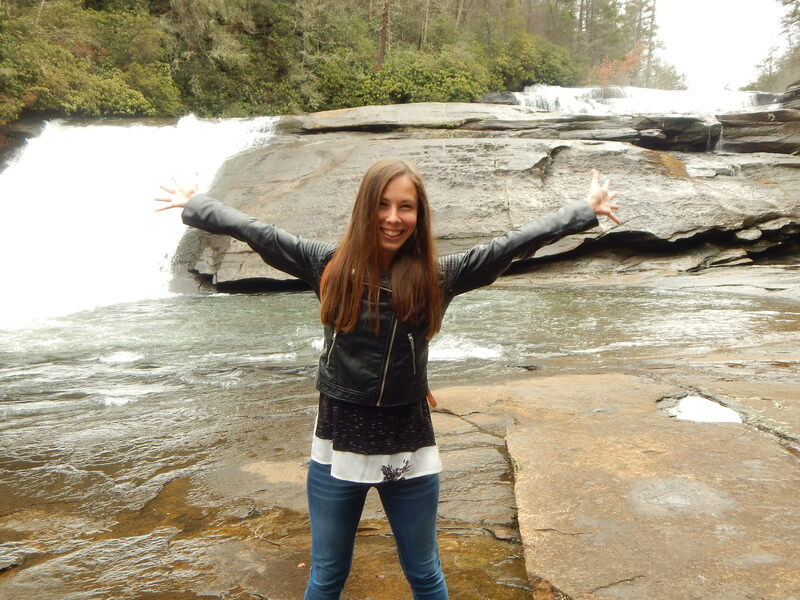 Pictured above is my smiley self in front of the 125-foot waterfall, Triple Falls, located in the DuPont State Forest in Cedar Mountain. After a scenic three-mile hike, the rushing sound of water drew me in to this wild wonderland, and it was powerfully stunning. Just standing in front of Triple Falls in the misty air is enough to get any adventurous spirit bursting with life. The location is also where scenes from the 2012 movie, The Hunger Games, was filmed (Woohoo, District 12!). If you want to stay true to North Carolina’s history and be “first in flight,” there are a variety of places where you can go zip-lining. 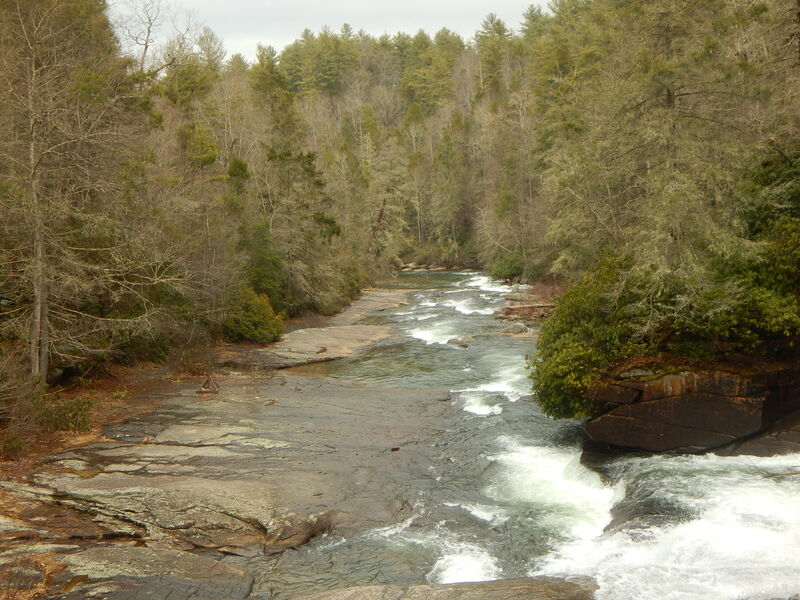 Because I stayed in Asheville, I did a simple search and found parks built on adrenaline such as the Adventure Center of Asheville and Navitat Canopy Adventures (which was closed for the winter). The Adventure Center of Asheville is a tourist agency that offers heart-pumping adventures such as zip-lining, wild-water-rafting, and they even have their own biking park for bikers of different levels. 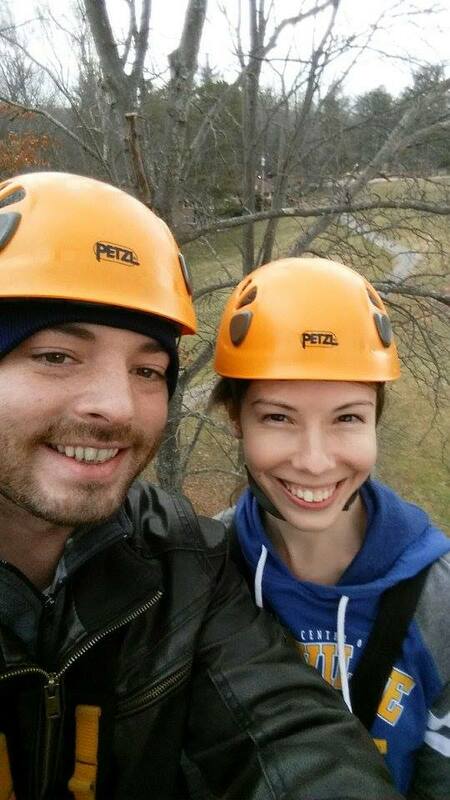 As mentioned, I, along with my boyfriend Tim, went zip-lining. 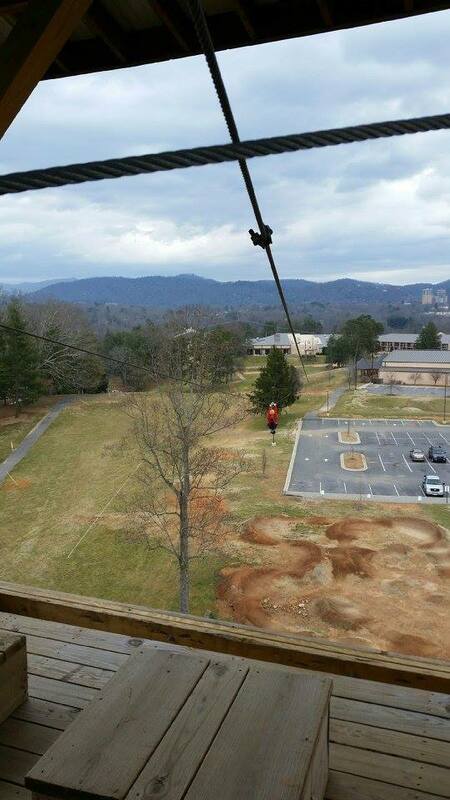 The highest point you can zip at the Adventure Center is 65-feet, and you’ll catch wondrous views of the mountains and downtown Asheville. Also included in the adventure are three sky bridges that you’ll cross with your small group (we had nine people), including two knowledgeable, fun instructors (thanks for the memories, Chad and Doug!). It took us about three hours to complete the 11 courses, and this includes training. If you prefer to keep your heart rate at a normal level, want your feet on the ground, and are a sucker for history and/or architecture, the Biltmore Estate in Asheville is a must. 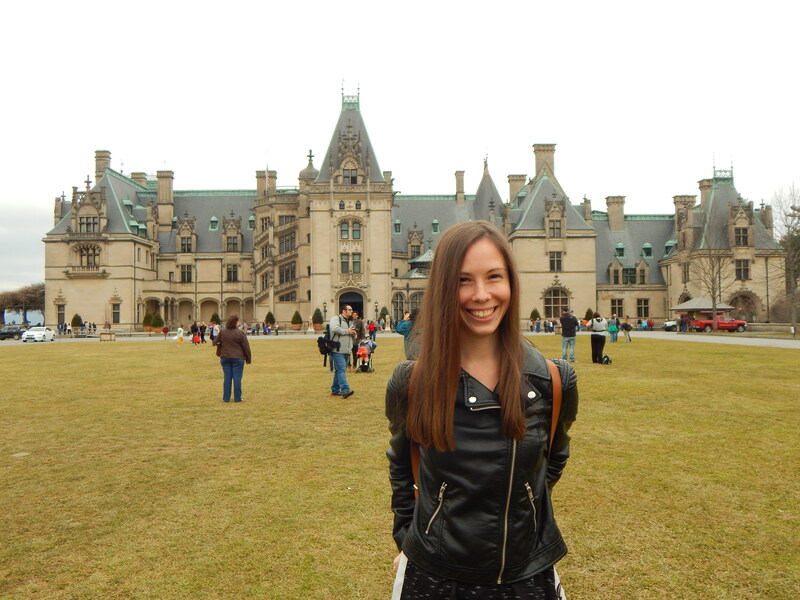 The Biltmore house (AKA: mansion) is loaded with elegant beauty and life from the late 1880s. At 178,926 square-feet, it’s the largest privately owned house in the United States, and the property itself stretches out to 800 acres. During the tour, which you can follow via audio or walk through on your own time, you’ll learn about the story behind the mansion, George Vanderbilt (the man who owned it), and who occupied the 250 rooms. Aside from the fun tourist-like attractions the Asheville area of North Carolina offers, the farm-to-table restaurants in the downtown area are delicious and filling. 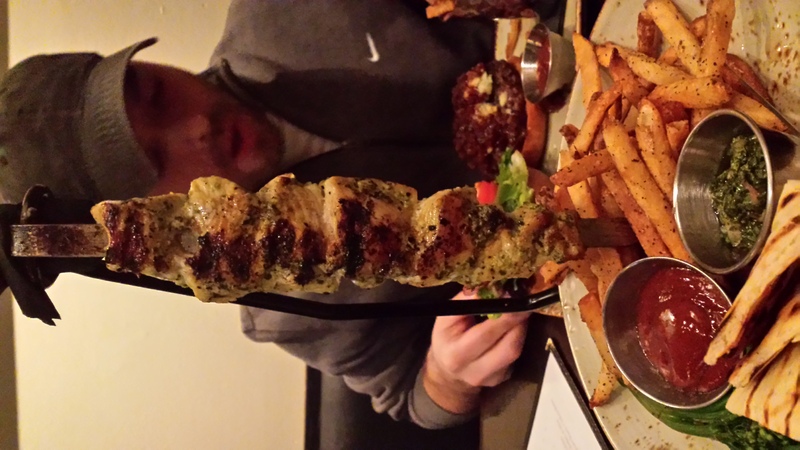 I highly recommend Barleycorn for good eats and fun memories — you’ll never forget smoky-tasting meat on a stick! 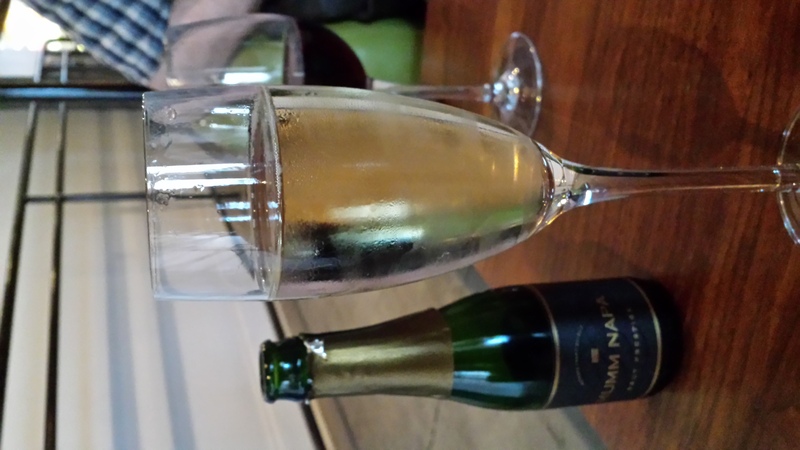 Santé Wine Bar and Taproom is another winner — it’s a hip spot for laid-back fun, drinks, and small eats. Basically, you lounge around on couches and people bring you food and refills. Are you convinced to explore this southern charmer of a state? North Carolina is waiting to show you what it’s made of!